Hospitality and the Other: Pentecost, Christian Practices, and the Neighbor (Faith Meets Faith Series) est le grand livre que vous voulez. Ce beau livre est créé par Amos Yong. En fait, le livre a 192 pages. 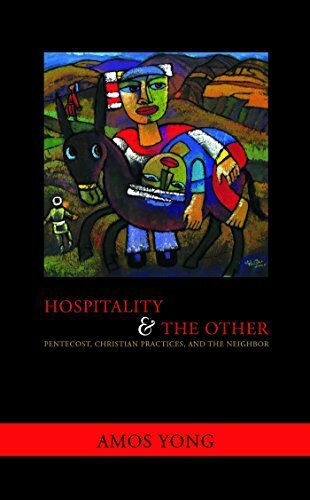 The Hospitality and the Other: Pentecost, Christian Practices, and the Neighbor (Faith Meets Faith Series) est libéré par la fabrication de Orbis Books. Vous pouvez consulter en ligne avec Hospitality and the Other: Pentecost, Christian Practices, and the Neighbor (Faith Meets Faith Series) étape facile. Toutefois, si vous désirez garder pour ordinateur portable, vous pouvez Hospitality and the Other: Pentecost, Christian Practices, and the Neighbor (Faith Meets Faith Series) sauver maintenant. In this book, Yong shows what happens when the revolutionary practices of Jesus and the early church are applied to Christian relations with people of other faiths. He shows that the religious 'other' is not a mere object for conversion, but a neighbour to whom hospitality must be extended.